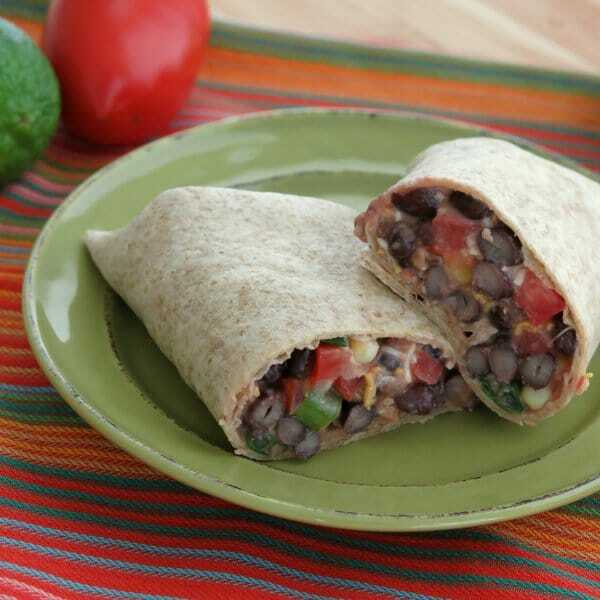 Spicy black bean wraps are filled with beans, cheese, more goodies and a spicy-as-you-like-it salsa blend. 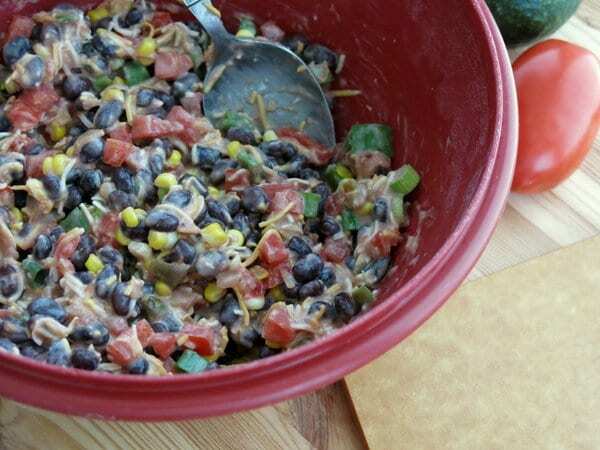 This no-bake recipe will add a little zing to your dinner in no time! 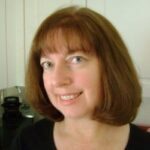 This is my Uh oh…It’s 5:00 and I don’t know what to have for dinner and I sure do wish Chipotle’s Grill was closer Spicy Black Bean Wrap. It’s my go-to meal when I don’t have a plan, need dinner on the table fast and still want to feel good about what we are eating. Luckily, I always have a can of black beans in the pantry and usually a few fresh ingredients too…but, you don’t have to. It’s easy to improvise with this recipe. Add in what you love and have on hand. Leave out what you don’t. Which brings me to the salsa…the ultimate flavor picker-upper. Salsa gives this particular wrap the spice. I looove salsa. It’s low-calorie and adds so much flavor to a dish. And, there are soooo many choices. Pick one that is as spicy as you like. Spicy black bean wraps are filled with beans, cheese, more goodies and a spicy as you like it salsa blend. Add a little zing to your dinner with this super easy, no-bake recipe. Combine ingredients, except for the tortillas, in a bowl. To soften tortillas, place them in a stack on a microwave-safe plate and cover with a wet paper towel. 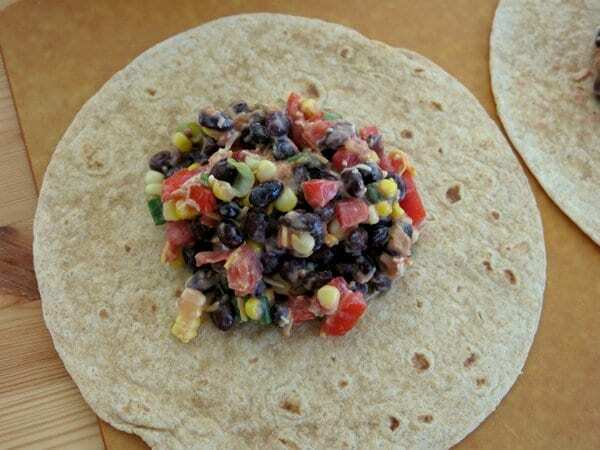 Scoop about 1/2 cup of the black bean mixture onto each tortilla and roll burrito style. You can add just about anything to this wrap. Other items to consider: avocado, guacamole, red onion and mushrooms. Thanks Shaina! It’s hard to go wrong with the flavor combo! oh my! This is perfect with warm weather upon us and I don’t want to heat up the kitchen! Thanks for another delicious dinner!! I love black beans. 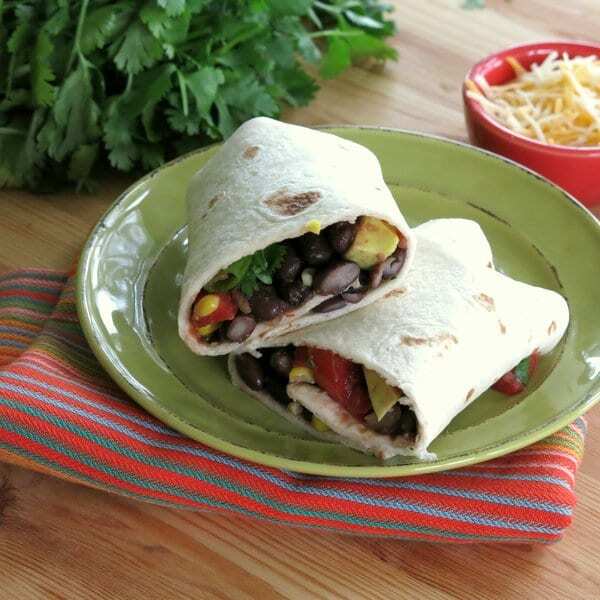 Your wrap would hit the spot for dinner! Thanks Cindy! I’ve been having these for dinner all week!